I’ve done every race and long run of my life in Nikes and I don’t plan on changing that…ever. 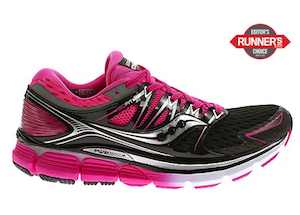 They are hands-down the best brand for narrow feet and I love the Lunar collection. This shoe is top-notch but a tad pricey. 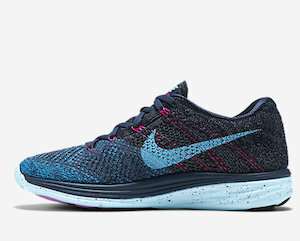 If you’re not rich AF, check out the Lunarglide 6 (what I wear, $110). 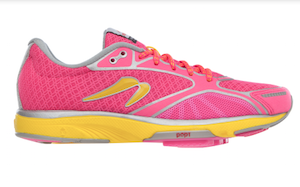 Newtons are built differently than other running shoes and feel as though they’re springing you forward–it’s awesome, but you have to ease into them as they work different muscles (don’t go on a 6-mile run with these puppies straight out the gate or your shins will punish you). If you’re in Atlanta, hit up DEKA to test drive ’em. These award winners have been praised for the ultimate plush, cushiony ride. They give you major support, hug your feet every step of the way (feet swaddling FTW), and look badass doing it. 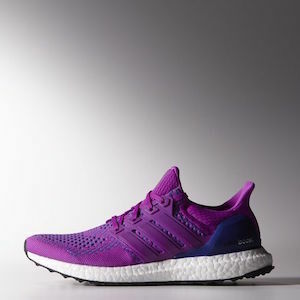 These are the latest in Adidas’ beloved Boost collection, which gives you unparalleled lightweight speed (marathoners swear by them). They’re definitely on the pricier side, so for a little less moola, you can’t go wrong with the classic Adizero Adios Boost 2.0 ($140). Comment below if you have any amazing songs to run to! And see y’all ON THE STREETS.